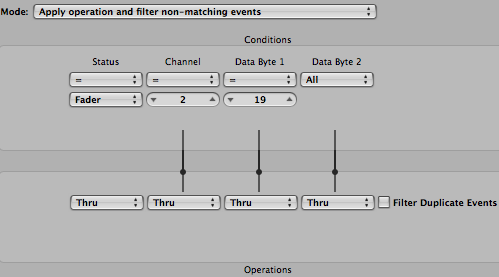 This tutorial shows how to use the connectivity capabilities of our plugins within Logic. 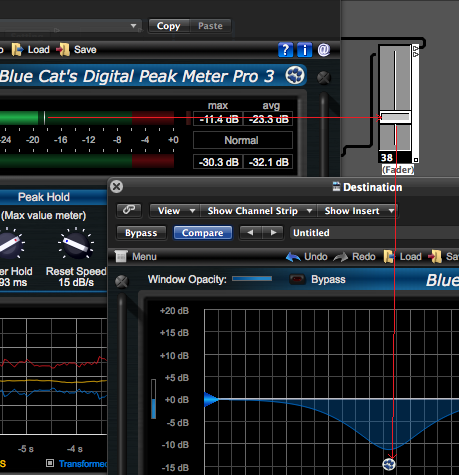 We use Blue Cat's DP Meter Pro plugin (DPMP) as an example, but you can use any other audio plugin which provides output parameters, such as our audio analysis plugins. These capabilities let you use any characteristic of a source audio signal to perform a side chain on any parameter of the destination track. Our example shows how to perform side chain filtering with this system: the DP Meter Pro plugin (aka DPMP) is used to generate an envelope based on this source track amplitude to control the band pass filter gain of the Triple EQ free plugin on another track. Our Logic session is initially composed of two audio tracks: a source and destination track. 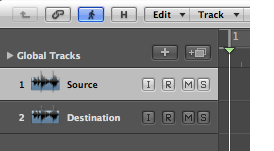 We then use Logic's powerful environment to route the side chain control data from the source to the destination. As of today (Logic Pro 9.1), Logic does not support MIDI routing between plug-ins, so the solution we propose here is based on Logic's environment. It requires a bit more learning if you are not familiar with it, but it is also more powerful than what some other hosts provide. 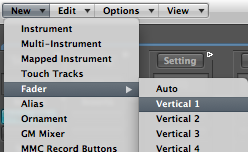 Most recent versions of Logic have a bug regarding this capability. It can be avoided using this trick explained on the forum. All connections done, your environment is now almost ready! Logic uses a terminology similar to MIDI for the parameters that you can manage in its environment, but it does not correspond to actual MIDI parameters that our plug-ins may expose in other host applications. 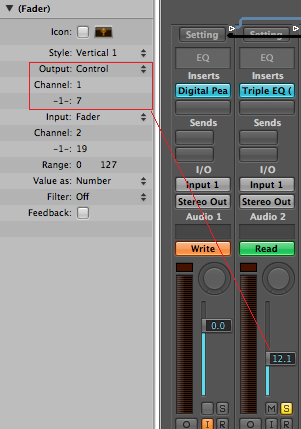 Every plug-in on a track is assigned a "channel" number: the first plug-in is channel 2, the second channel 3 etc. 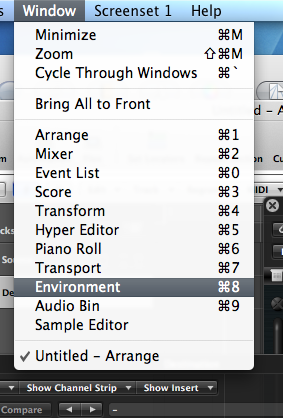 For each plug-in, every parameter is assigned a number (just like a CC number with MIDI), starting at 1. 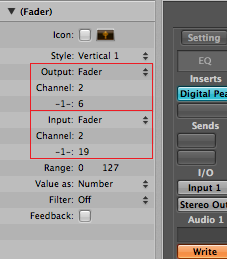 Plug-in parameters can be controlled using "Fader" type. 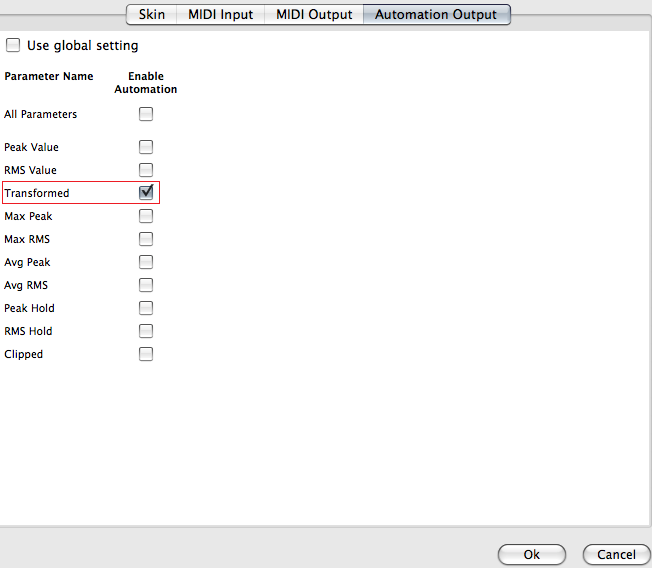 Beware that "Control" message type does not let you control other plug-ins parameters. 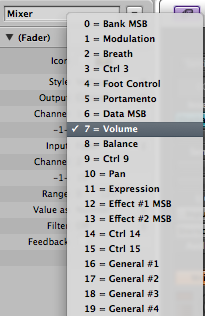 But it lets you have access to mixer properties (such as balance, volume and more, using standard MIDI CC values). In our example, the "transformed" output parameter for the DPMP is the 19th parameter (you can easily count parameters for our plug-ins using the preset settings window and start counting with input parameters then output parameters). 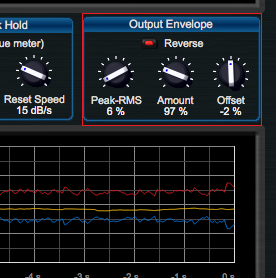 For the Triple EQ plug-in, the parameter we want to control (Mid Gain) is the 6th parameter. 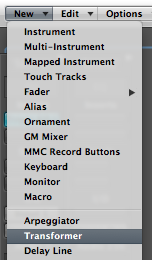 Both plug-ins are the first in the list of plug-ins on their own track. It means that we want to map parameter number 19 on channel 2 to parameter 6 on channel 2, so that the DPMP's transformed envelope controls the Triple EQ's mid gain parameter. 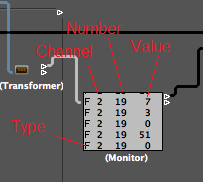 Note: you can also use the monitor object to see which channel/number the parameter you are interested in is assigned to. You have just learnt how to connect our plugins together in Logic Pro. This simple scenario shows how to setup a control side chain between an amplitude follower and a band pass filter. You can now experiment with many other effect sources and destination parameters. You can also check our other tutorials for more ideas. You can also add more modules from Logic's environment in order to improve your parameter mapping and perform additional processing on the side chain.